I hope you’re having a great weekend? It’s now day 4 of my Advent Giveaway, and I have a gorgeous set of products up for grabs today from one of my favourite jewellery brands, Azuni London! 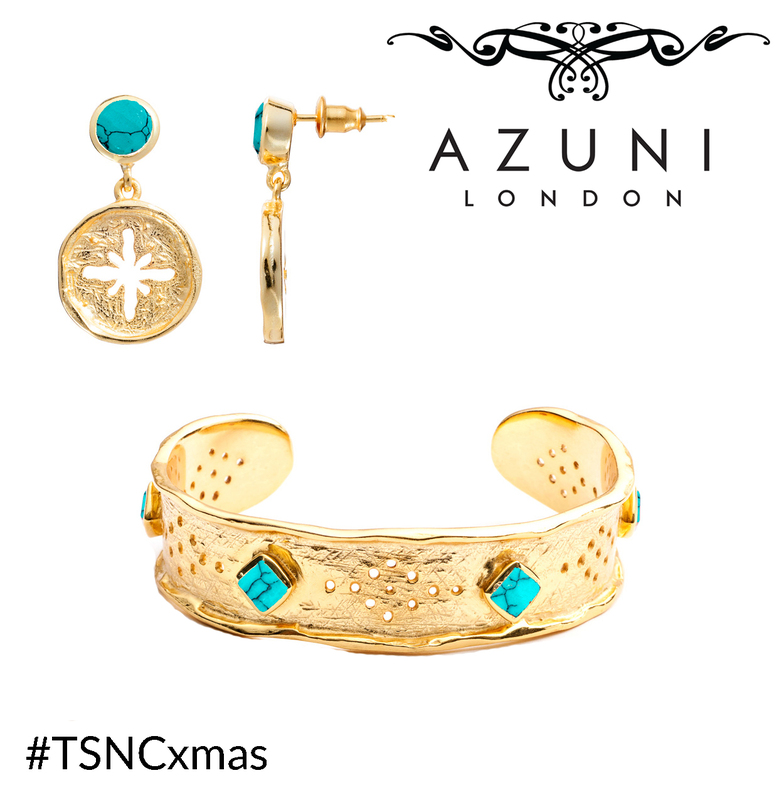 Azuni London is a fair-trade, designer jewellery brand, which blends ancient and tribal design influences with contemporary trends to create soulful and stylish Jewellery Treasures. Forever on a journey of discovery, Creator Ashley Marshall fuses a lifetime passion for ancient cultures and tribal designs with modern pop cults and fashion trends. His unique approach has resulted in an eclectic, distinctive range of collections which truly sit ‘Between Two Worlds’. Sourcing gemstones and techniques from across the globe with a fairtrade supply chain, each handcrafted piece tells a story and bares Azuni’s signature of inspired colour combinations, handcrafted textures, and soul. A beautiful Athena ‘Elysia’ Gemstone Bangle, worth £75.00, with a matching pair of Athena ‘Damara’ Coin Earrings, worth £25.00. Both jewellery items are finished with stunning turquoise stones. As usual, you can enter this giveaway via the Rafflecopter widget below. This giveaway is open internationally, and will run for five days. If you have any questions, please feel free to email me.